Send a thoughtful Christmas thank you message by writing perfect thank you wordings this Christmas. 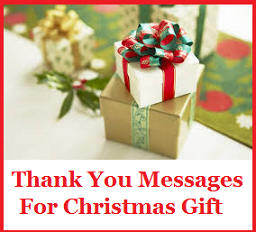 Go ahead & choose the sample Christmas thank you messages and wordings. 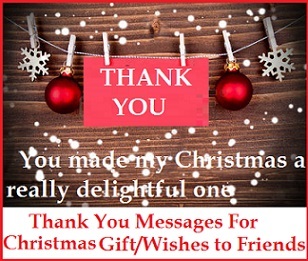 We are sure that you will find heartfelt thank you messages for Christmas gift , Christmas card, Christmas party & Christmas thank you messages for friends or family, boss or colleagues. Our Christmas thank you messages collection will surly inspire you to write beyond "Thank You so much". As you reflect on the events, challenges, and blessings of the year, you can easily count and remember the colleagues who made the year awesome. 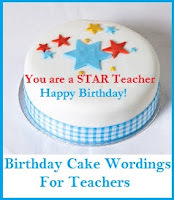 This is the right time to make your colleagues feel special. 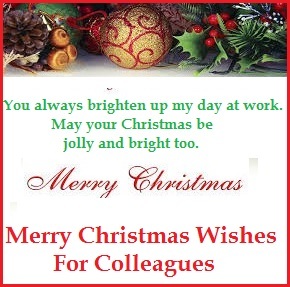 Read on to find the heartfelt Christmas wishes for colleagues. Thank you for being a great workmate and a friend. May you have the merriest of holidays. Wishing a Merry Christmas to the person I love to work with. Who else? That’s you! You have been a great part of the team this year. Wish we could work together again next year. Have a Merry Christmas! May you be blessed with success and happiness this year and every year! Merry Christmas! Warmest thoughts of you this Christmas season. Thank you for your unwavering support to the team. I look forward to work each day because I know I have a buddy who always have my back. May you have a blessed Christmas! May your holidays be joyful and bright just like how you brighten everyone’s day at work. May you hold on to what’s dear to your heart and may all your heart’s desires be granted in work and in your family. Happy holidays! Merry Christmas, dear friend and colleague. It is always a pleasure working with you. You always brighten up my day at work. May your Christmas be jolly and bright too. Your passion for work inspires everyone. Have a merry Christmas! Just passing by to greet you a Merry Christmas, just as I always pass by your desk to greet you good morning. A special holiday for a special colleague is what you deserve. Let’s celebrate Christmas! Christmas is one time to say how much you mean to the team. Happy holidays! Teachers are among the most influential individuals we meet throughout our lifetime. Send a Christmas wish to your teachers to show your appreciation for their dedication and the lessons they have imparted to you. 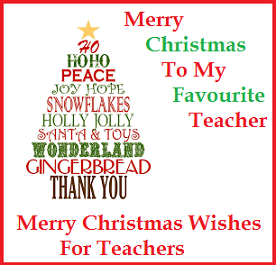 Here is a collection of Merry Christmas wishes for Teachers. Go ahead and choose a thoughtful Merry Christmas greeting for your Teacher right here. As I honor Christmas, I also honor you as my teacher who taught me so much wisdom all these years. May you have a blessed Christmas! Merry Christmas, teacher. Enjoy the holidays as you now can relax without the stress from us. Thank you for your patience. See you after the Christmas break. Thank you for the wonderful learning journey. May you have a joyful holiday season. Your gift of teaching goes a long way. You inspire us to be the best. I wish you a blessed and joyous Christmas, teacher. To the teacher who has given more than we deserve, have a merry and bountiful Christmas. We love you always. Happiest Christmas to the best teacher ever! May your holidays be joyful, merry, and bright. Merriest Christmas to my dearest mentor. You have given so much of yourself to impart the skills and knowledge to us students. May blessings flow abundantly to you this holiday season. 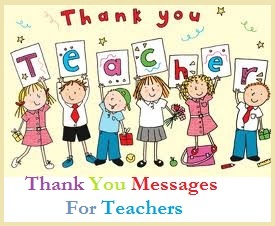 To my teacher and my friend. Your life is a blessing to me. I wish you all the happiness for this Christmas season and for always. May this Christmas celebration be as special and unique as you are, teacher. Happy holidays! 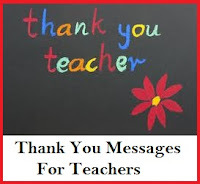 I may be the silent student in class, but I will not miss this chance to tell you how much you are appreciated. Have a wonderful Christmas, teacher! Merry Christmas to the most inspiring personality I have ever met. Thank you for everything, teacher. 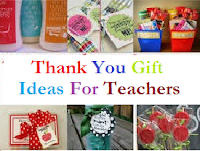 Teachers like you, who are the endless source of inspiration deserve the best Christmas ever. May this holiday season bring you bountiful blessings and joy the whole year through. We are blessed to have a teacher like you. Have a merry Christmas, dear teacher. You taught us to reach for the stars. You are the brightest guide we have. May you have the brightest and most joyful Christmas this year. Christmas is one of those special times when you celebrate with friends. Like family, friends make life a notch happier. 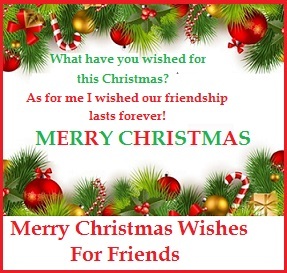 Here is an excellent collection of Merry Christmas wishes you can use to wish your friends this Christmas. Read on to find the perfect Merry Christmas wishes for Friends right here. It’s another Christmas season, and your friendship is one of the best gifts I have received in my whole lifetime. Best wishes to us. Let’s celebrate! Merry Christmas to you, my best friend. Do I really have to be this cheesy? C’mon over and let’s have a holiday blast! See you soon! Friends are blessings. May your Christmas be as blessed and full of cheer just like last year! Cheers! My wish for you this Christmas is a lifetime full of joy, peace, and love the whole year round. Merry Christmas! May every sip of your Christmas eggnog be shared with friends and loved ones this holiday season. Happy holidays, dear friend. We may be far apart this Christmas but none can dampen the spirit of cheer that the blessings of the season bring. My thoughts fly to you this holiday season. Cheers! This Christmas is special because of friends like you. May you have a bright and merry Christmas! May this holiday season bring you gifts of peace, love, joy, travel, and all your heart’s desires. I’ll hitch along with you, of course! Have a very Merry Christmas! Each carol sung this Christmas season brings back memories of cheer from Christmases past. Remembering you this Christmas and I wish you all the best, my friend! A milestone of friendship is marked for every Christmas we spend together. Thank you for being a wonderful friend. Cheers to merry holidays for now and in the years to come! Christmas gives us more reasons to celebrate and party. May you receive more blessings this holiday season, my friend! For all the love and friendship we shared all these years, I am thankful. May this Christmas bring us closer to our Savior as we deepen our friendship. May your Christmas holidays be filled with joy from friends and family near and far. I wish you all the best this holidays season and always. When Santa made a list of nice people, I know you are one of them. I wish you love, joy, and peace this Christmas season, my friend. Friendship is like wine; it gets better through the years. This Christmas season is the best time to open a bottle to share with a great friend like you. 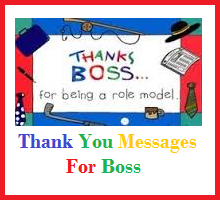 The Holiday season is the best time to express appreciation to your employees. So this Christmas send thoughtful Merry Christmas wishes for your employees. Read on find the perfect Christmas wishes for employees that you can use. Thank you for dedication at work. May you and your family have a blessed Christmas. I wish you a merry and unforgettable Christmas season. (company name) celebrates with you. You have been a blessing to the company. Allow us to share our blessing to you and yours. Best wishes for the holidays! May the peace, hope, and love of the Christmas season flow generously to you and your kin as you have also shared your talent to this company the whole year through. Merry Christmas! Thank you for your commitment to work. May the blessings of the Christmas season be showered on you always. May you have a Merry Christmas as we continue to reap the rewards of an awesome year of work. Happy holidays! God bless each one of you as you celebrate the Christmas season. In behalf of the company, please accept our best wishes along with the bonus to show how we appreciate your efforts for staying with us through the years. You have been part of our business success. May this holiday bring you more blessings that you can ever imagine. Merry Christmas! May we always remember the Messiah who was born in the manger to bring the greatest gift of all this Christmas season. Have a blessed Christmas! May this Christmas season bring back the hopes and dreams for a better year ahead. Wishing you a meaningful and a joyous Christmas! Thank you for helping the company achieve a successful year. Along with our Christmas greetings, we share with you our blessings! Happy holidays, dear employees! The family is the center of our motivation for achieving our goals. May you enjoy the Christmas celebration with this holiday season! Have a blessed Christmas ahead! Let’s celebrate the most beautiful time of the year. Wishing you the happiest of Holidays! Merry Christmas! We express our sincerest gratitude for being with us the whole year through. Have a Merry Christmas! Work may be tough and on some days challenging, during the Christmas season, you can ease up to spread good cheer and wish your boss the best of the holiday season. 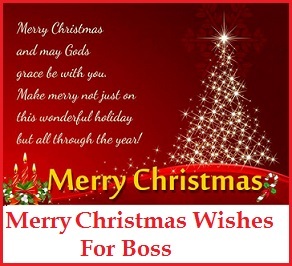 Here are some sample Christmas greetings messages that you can use to send merry Christmas wishes to your boss. Merry Christmas, boss! Thank you for the wonderful opportunity! I wish you more success. Merry Christmas to you and your family. May all your wishes of greater profits come true! To the best boss ever, may this holiday season bring you endless cheer and happiness! May this Christmas be the start of an awesome year for you and your whole company. Have a wonderful Christmas, boss! May this season give you all the reason to smile and celebrate. Merry Christmas, boss! You have brought happiness and opportunities to all the people in this company. I wish that blessings will return to you a million-fold this holiday season. Merry Christmas, boss! Best holiday wishes to you and your family, boss. May the cheer of Christmas be with you always. Holidays are joyful, and so is working for you. Have a happy Christmas season, boss! May you enjoy this Holiday season to the fullest. Have a wonderful time, boss! May your Christmas be as bright and merry as you are. Happy holidays, boss! For all the hard work you’ve done, you have shown us how to succeed. We are thankful to be part of your company. Have a merry Christmas, boss! Working with you inspire us all to do our best for always. May you have a grand Christmas. Enjoy the holidays, boss! Best wishes for the holiday season and beyond to the greatest boss we have ever known. Happy holidays, boss! Wishing you a Christmas filed with love, laughter joy, and harmony for your family and business. They say giving is better than receiving. When you’re on the receiving end during the Christmas season though, it is but polite to send a thank you note to the giver. It doesn’t take much but it will mean a lot to the giver of the gift. Here are some sample thank you messages that you can use to show your appreciation this yuletide season to your friends. You made my Christmas a really delightful one. Thanks for the buffet dinner treat. Happy holidays again. That motorcycle helmet you gave me for Christmas is a perfect match for my bike. Thanks man for being so thoughtful. You know very well I love you mom’s brownies. Thanks for giving me a box this Christmas. I just love it to bits! It was really generous of you giving me an Iphone for Christmas. Thank you my friend. I think I’m in heaven now. Thank you so much for the box of Nutella you gave me for Christmas! You are the best of all best friend ne could have. It’s c chocolatey Christmas for me this year. Thank you so much for the assorted chocolates you gave me for Christmas. Happy holidays! You know I have enough model tanks in my stash. But it wouldn’t hurt having another one coming from you. Thanks for this great Christmas gift! I didn’t think it was possible, but I got the coffee maker I wanted for Christmas. Thank you for being my Santa this year my friend. Only you have made me truly smile this Christmas. That cute little kitten for Christmas was a charm. Thank you so much! A puppy? A puppy! Yes, you know how much I missed my old dog. Thank you for making this Christmas very memorable for me. I shall name it Rudolf. Thanks for the shirt you gave me for Christmas. I will be wearing it tonight when we meet up. Thanks man for the Star Wars themed bath set you gave for Christmas. The force is strong with me now. That lightsaber set you gave me for Christmas will have a special place on my workshop wall. Thank you so much. The night lamp you gave me for Christmas will make it easier for me to read at night. Thank you. That was really thoughtful of you. You know, I really love the set of curtains you gave me this Christmas. It goes very well with the theme of my living room. Thanks a ton! We’ve been friends for a long time and you never fail to send me the inspiring Christmas wishes. Thank you and happy holidays. Thank you for the Christmas greetings my friend. Why don’t you come over and have dinner with us and share in our celebrations. The warmest Christmas greetings do come from the closest of friends. Thank you and happy holidays to you. I appreciate the micro drawers you gave me this Christmas. It would help me organize my hobby. Happy holidays my friend! You’re such a caring friend, thank you so much for the 120 gig memory card you gave me this Christmas. Thanks for the Christmas day lunch buffet treat my friend. Man I’m totally stuffed! You’re a crazy good friend! Thank you for filling my car with my favorite choco-pudding for Christmas! You are the sweetest! Give your sincerest gratitude for the Christmas gift received from your grandparents. Here are sample thanl you wordings that you can use to send a heartfelt thank you message to your grandparents. I love your Christmas gift Grandpa. When I opened the box my heart was filled with excitement and happiness. Thank you for the new watch! I am ecstatic when I saw a box wrapped beautifully! Thank you so much Grandma for your wonderful gift, I really appreciate the bag you gave me. You really know me because I really like the style and color. Well, we are almost the same in taste. My new guitar is so cool! Thank you for the Christmas gift! You are so thoughtful, Grandma! My Christmas celebration is complete when I received your gift. I cannot ask for more, having a new grand piano in the house is awesome. I promise I will be playing songs for you and to the whole family more. Thank you so much Grandpa and Grandma for the special gift this Christmas. Every year you always surprise me with unique gifts that you know I will really like. Since I was a little girl you showered me with your love and support. I am truly blessed to have grandparents like you!. Thank you for the new mobile phone you gave me this Christmas. I promise that I will take care of it. I love you so much. Hey Pop! I really appreciate your Christmas gift. Now I can drive you around the city. I am so happy with the new car. Thank you for the trust that I can be responsible enough to have it. Although you are a thousand miles away, you always let me feel I am loved by your Christmas gift. I truly appreciate your love and the cash you sent, I miss you Grandma. Thank you for the Christmas gift; you are simply the best Grandpa! Your Christmas gift is awesome, I cannot wait to see you again when I visit you in the countryside. I love you. It was such a lovely surprise! Thank you so much for sending me a set of painting materials this Christmas. Take care always. Thank you for Spa soothing gift set, I really need it these days to relax. I truly enjoyed your gift Grandma. I already used the kitchen cooking wares last Christmas Eve’s food preparation. I still remember when I am always beside you while you are cooking delicious meals for us. Thank you for sponsoring my holiday trip to Europe. You know how I wish to travel, I am sure this will be my happiest holiday vacation. Take care Grandma and Grandpa! Thank you for the travel bag you gave me this Christmas. I am more excited on my upcoming trip. I miss you so much Grandma and Grandpa. I am suddenly relaxed when I saw the dual foot massager inside the box. You are so cool Grandpa! Thank you for the new bike you gave me this Christmas. I have wished this gift for a year, and now I cannot believe it is already here. You are my beloved Santa Grandpa. I love you! Thank you for your Christmas present, the shoes fits my size, I really like it. What an amazing gift, a new laptop for me! At last, I will be able to replace my old desktop computer. Thank you so much. You really know my interest, thank you for the latest Sony camera you gave me. I really appreciate it. I will be sending you more photos soon! Merry Christmas Grandpa and thank you so much for the amazing gift. I love it! Your Christmas gift is so cool! Thank you for the virtual reality headset. Love yah, Grandma!